The unanimously favourite junk food (or indulgence) for people who grew up in the 80s and 90s had to be Maggi. 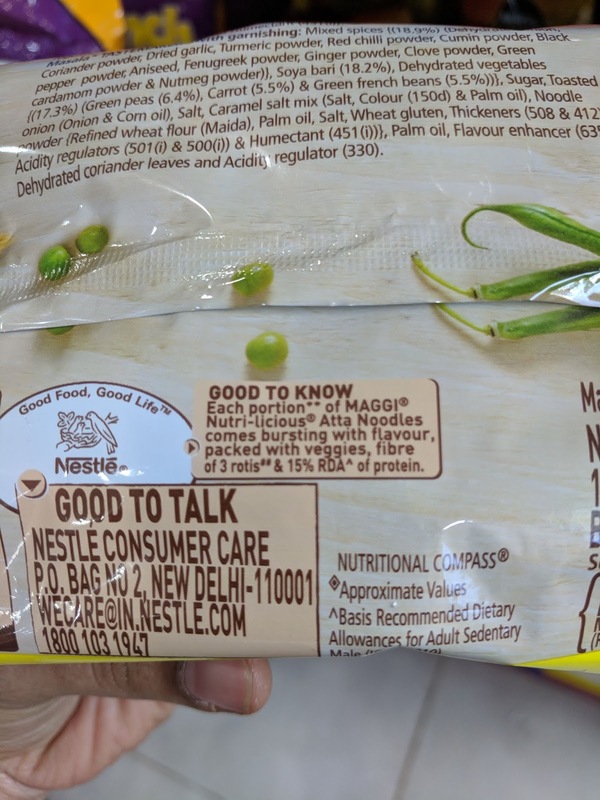 And for many of us, that would have been the first dish we learned to cook ;-) So we have such deep, emotional connect with the brand (which other noodle brands envy) - the connect so powerful that even after the lead controversy, the brand seemed to have bounced back. In my 20s, whenever I return home late from work, Maggi with veggies used to be the default dinner. Or when I return early, I would wipe off a bowl of Maggi with onion raitha as an evening snack. Weird combo, you might think but my absolute favourite! Now, after many years of clean eating, I can’t eat even a spoonful of it, let alone a bowl. My tongue rejects the overpowering salty taste and artificial flavours. I don’t crave for Maggi anymore. For others who still love to eat Maggi, my ONLY suggestion would be to eat a small bowl once in a while (say, once in a month or two). Just because there are many “so-called” health variants, please don’t indulge on a more frequent basis. The health variants are a big sham. I had earlier written about the oats noodles, please check it out if you haven’t read it. 1. The pack says it has 78.7% atta. Most flours are generally called atta - chawal ka atta, ghehun ka atta, nachni ka atta. What does “atta” refer to? Is it wholewheat flour? That’s one area of ambiguity. 2. 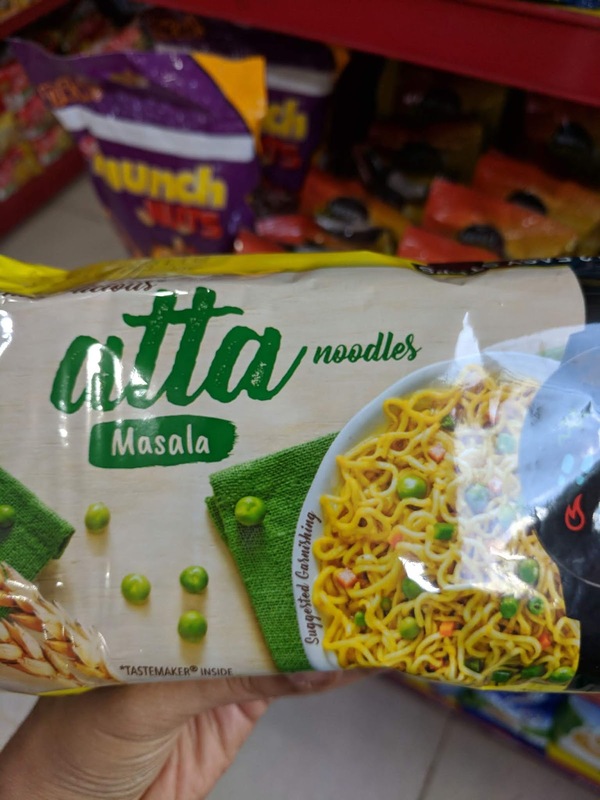 The pack states that a portion of Maggi atta noodles has the fibre of 3 rotis, whereas the nutrition table states that a portion of atta noodles has 4.5 gm of fibre. 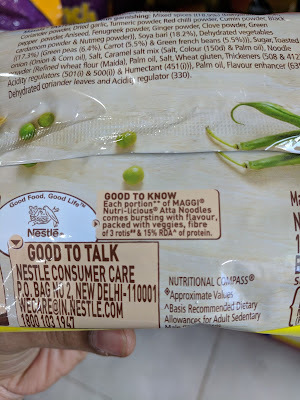 A small 6-inch chapathi contains 2 gm of fibre, so 3 chapathis would contain 6 gm of fibre, which doesn’t match to Maggi’s claims. Another area of ambiguity. 3. 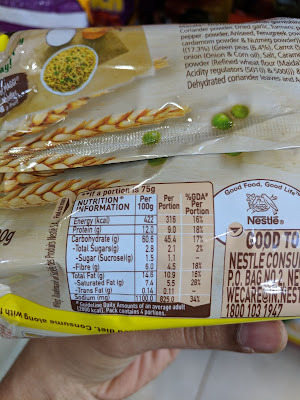 Most of us add very little salt to our chapathi dough but look at the sodium level in Maggi atta noodles - each portion contains a whopping 825 mg of sodium. Though it is slightly less as compared to regular Maggi, it is still a high number if you are consuming it on a regular basis, thinking you are making a healthy choice. 4. Added gluten causes acidity, bloating, constipation and various other digestive issues. That’s one of the reasons why packaged branded atta flour isn’t recommended. Look at the 3rd ingredient - yes, wheat gluten. IF the atta refers to wholewheat, then what’s the need for added gluten? 5. The noodles also contain various other chemical additives in the form of thickeners, acidity regulators and humectant. 6. The “taste maker” masala powder is being promoted extensively with a message that it contains ONLY freshly roasted spices. Why aren’t the ad celebrities (guys from "highway on my plate”) talking about flavour enhancer (635)? 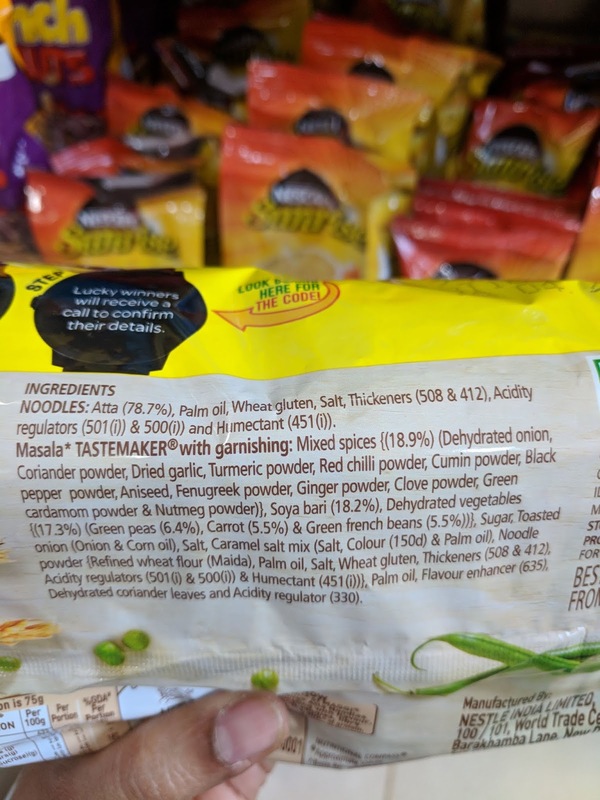 I have written a separate post on the Maggi masala-ae-magic powder where I have highlighted the side effects of 635. “Signaling” is a powerful concept in marketing to create symbols/associations in the minds of consumers. The brand is associating itself with a “health” tag through their promotion - “Win Garmin fitness tracker every hour”. Though the actual product isn’t healthy, this promotion creates that association.